Winston Yeh has only been running Rough Crafts for three years. 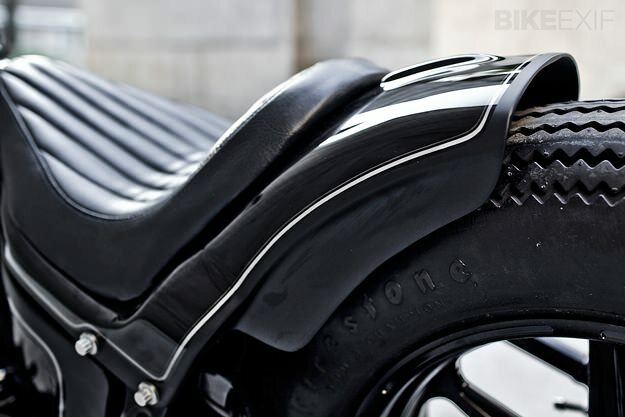 But in that short time, he’s become one of the world’s hottest custom Harley builders—despite being based in Taipei, the capital of Taiwan, and thousands of miles away from Milwaukee. This is the latest Rough Crafts machine, ‘Shadow Rocket’. It’s fresh from its debut at Mooneyes in Japan, where it was the pick of the show for both Hot Bike magazine (USA) and Chopper Journal (Japan). 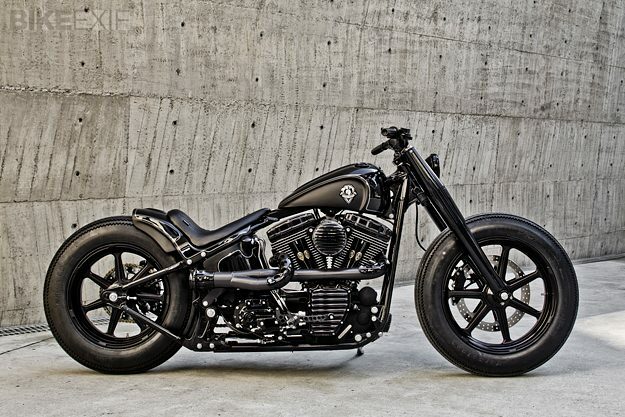 It’s based on a 2002-model FLSTF Softail—the first Fat Boy to get Harley’s counterbalanced Twin Cam 88B motor. But the bloated looks of the stock Fat Boy are gone. Yeh’s vision is dark and glossy and sleek, and all the better for it. The sheet metal is new, from the gas tank to the fenders, and the frame has been subtly chopped. 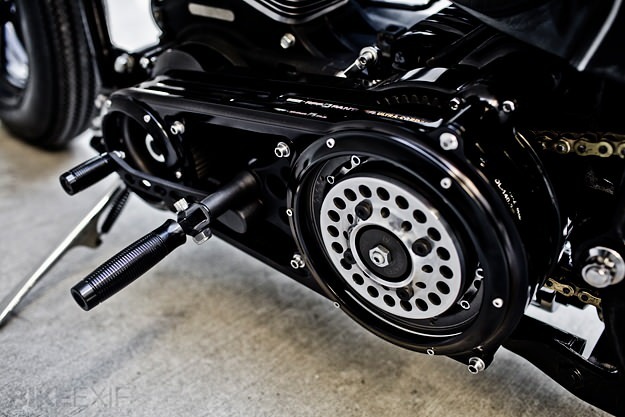 The forks have been shortened, and custom fabricated lowers are hiding Progressive Suspension springs. (Progressive also supplied the shocks.) 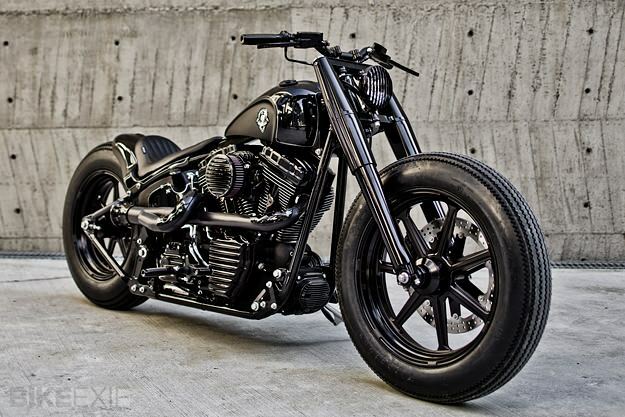 The wheels are forged aluminum RSD Black Ops, 18” at the front and 16” at the back, and Performance Machine brakes haul the Fat Boy to a stop. 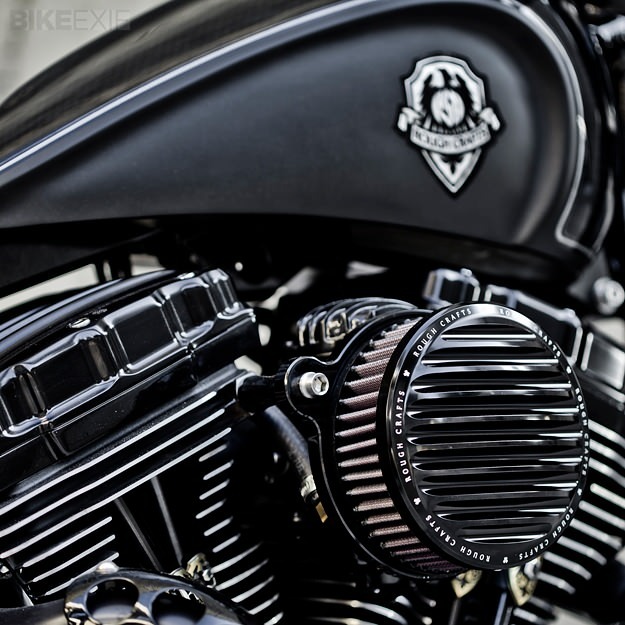 This is the best-looking Harley engine I’ve seen in a long time. With 1,450cc, the motor has plenty enough grunt for cruising, so Yeh has left the internals stock. The timing and rocker covers are from RSD. 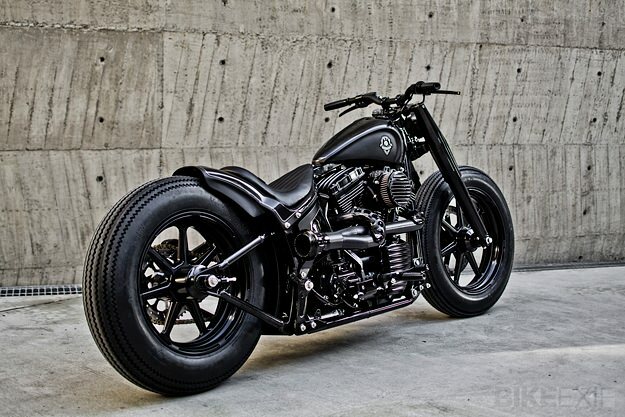 Just about everything else on this Fat Boy has been fabricated by Rough Crafts. That includes the air cleaner, the bars and the mid-set controls. Yeh also designed the lighting, the seat and the exhaust system. For more Rough Crafts goodness, head over to their website or check out the Rough Crafts Facebook page.